Every parent would want to give everything they could give to their children including the best toys. However, when purchasing toys, safety and happiness of children are the utmost priorities. 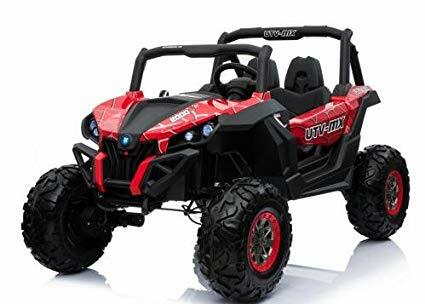 One popular power toy that your kids will surely enjoy is the power wheels -off-road vehicles. This type of “toy” is a special ride that looks and feels real. It is also a toy that ensures safety since this toy comes with parental remote control. There is tight competition in this type of industry and brands that sell this type of toy incorporates various features. With numerous brands and great features, it will be difficult to choose the right ride for your kids. 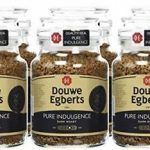 However, fret not as this article will feature the best brands that will assist you in choosing the best for your children. 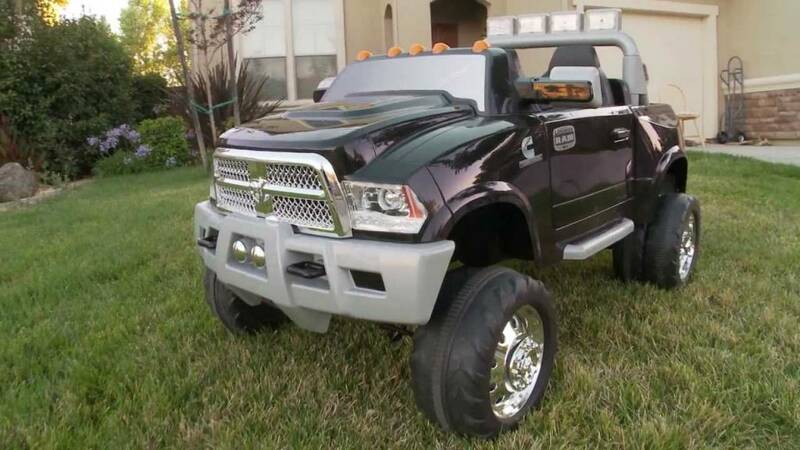 The Dodge Ram 3500 Dually Longhorn will definitely entertain your little one. It has appealing design and interior that will keep your child visually curious. This Dodge comes with manual dump bed and tailgate that could haul and dump cargoes. Its doors are easy to open and the product has running lights and powerful sounds that your child will surely enjoy. As for operating this toy, you will not have a problem as it is easy to control and has safety features such as emergency breaks. Lastly, your child will experience a real life feeling of riding a real car due to its powerful turbo diesel sound that it emits. This brand and model is recommended for older children since this toy’s main feature is its speed. It has a maximum speed of 7 kilometers per hour which older kids will love. 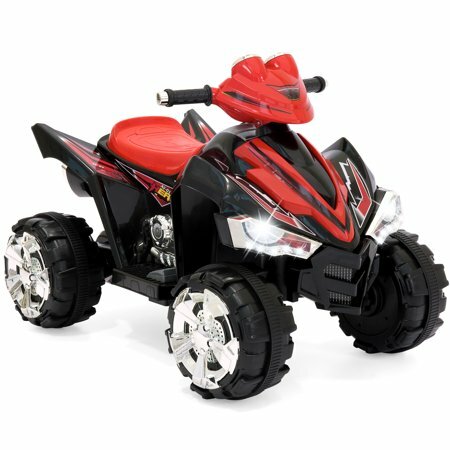 This 4 wheeler power wheels provides enjoyable experience not only through its speed but also through the music it provides while your child is riding around. The downside however, if you will choose this brand and model is that you will need to charge it often as its battery dies down frequently. This is the best 12 Volt ride. It is simple to use with its pedal that could be operated by foot. It also comes with spring suspension system and it is created with non-toxic plastic body materials. It has three speed options that your child could choose from. Like Costzon, this car has a built-in music that you could customize. The Fisher-Price Power Wheels is a great gift for your children. It has a 5 mph speed that gives your child an ultimate speed experience and has safety features that will ease your worries. This car comes with power lock brakes and improved parental remote control feature. It is also spacious that will keep your child from being cramped. If you are looking for a car that focuses on safety, this brand is for you. Ready for your child to save your city? 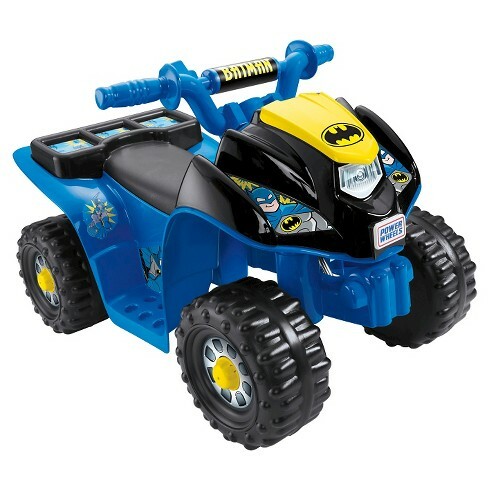 Equip your child with Batman Lil’ Quad vehicle. 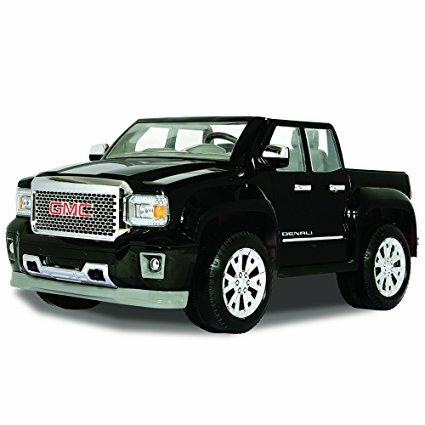 This model is a toddler friendly vehicle with its 4 wheels and rugged design. It is recommended for those who would like to strengthen and build their children’s motor skills, balance and cognitive skills. It has wide tires that could be used on hard surfaces and grass. As for its speed, it could travel up to a maximum speed of 2 miles per hour. This brand comes in different designs and styles such as Barbie, Kawasaki and Paw Patrol. This toy is battery operated and comes with a 7 amp rechargeable batteries. It also includes a remote steering box and rear drive motors for better realistic performance. It has a reverse shifter, rear lights that are closely similar to its original version. For safety, it has high quality safety breaks, seatbelt and horn. It also comes with three speed options. The Kids Ride On Jeep provides kids a high quality enjoyable riding experience. It comes with two rear drive motors and a remote steering remote. It also includes an FM/ MP3 Radio player. 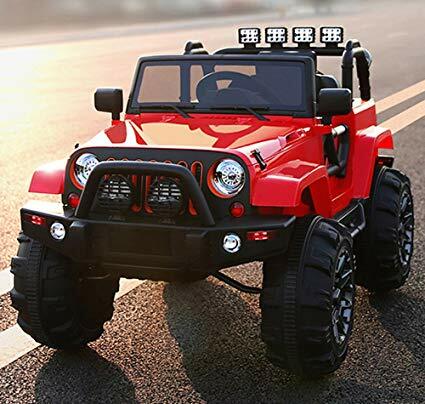 For its safety, this jeep could be controlled by a remote, it has a horn and speed and parking stop features. This model and brand is suitable for all ages. Who doesn’t love Teenage Mutant Ninja Turtles? This jeep is so cool that it comes in a teenage mutant ninja turtles design. 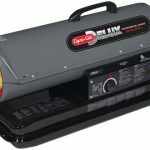 It is easy to use with its battery operated system and its pedal is easy to step on. It is also safe since this jeep only has a speed of 2.5 mph with its speed lock. If you wish for a faster mode, this jeep offers up to 5 mph once the speed lock is deactivated. Want to go out in style? The GMC Sierra Denali is highly recommended. This vehicle comes in two opening doors, realistic windows, clear windshield and dashboard. It also comes with LED lights and forward and reverse gears. If you want a realistic feel for your child’s car, this brand is as good as it gets. The Ride on Planet UTV-MX offers realistic feel and safety at the same time. It comes with shock absorbers, 4 motors and 3 speed modes controlled by a remote. This car is designed with two large seats that could accommodate up to 110 pounds. 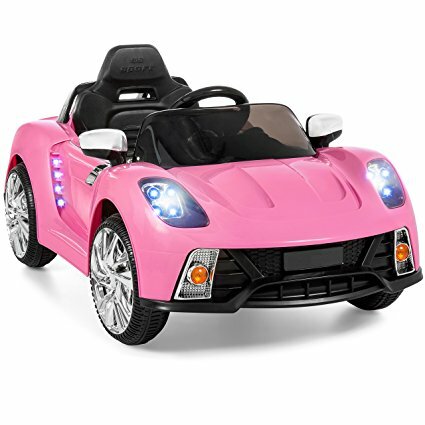 Your child could also enjoy music while riding this vehicle and for safety it comes with a safety break that could stop the car 50 to 70 feet away. Age – Keep in mind that toys are suggested based on age. For this type of toy, the appropriate ages are from age groups – one to three years old and two to six years old. Before purchasing, you will need to check if your child’s age is appropriate based on the design and model of the car. Size and Weight – since kids’ height and weight differ, you will need to consider if the size of the car will be comfortable for your child. Speed– it is suggested to choose power wheels that has both reverse and forward speeds. Ensure that the speed of the toy is appropriate to the age of your child. Safety Features– one of the most important feature is safety. Check the model and brand offers safety operating breaks and other safety features. Customization– It will be great if your toy could be customized. With it you could include more lights, radio and other things you think your child will enjoy. When purchasing your power wheels for off-road, it is important to check if it is stable and firm. This way you can be assured that your child is safe. It is also a plus if you go for those models that has wide tires and deep treads. This way, your vehicle is stable at the same time it has a firm grip on the ground. When choosing for your children, nothing beats a great and practical toy like Power Wheels for Off-Road. Through this article, we hope we were able to help you choose the best that will suit your child’s taste and needs.